Umbrella is proud to announce, in partnership with our donors at ONGD-FNEL, that we will be opening a drop-in & advice centre for all youth aged between 16 and 25, called the “Chautari Youth Club” (CYC). It will provide a safe, vibrant space for youth to come and engage with each other, and with our youth officers who will have knowledge about a wide range of areas, for example sexual reproductive health, financial management, peer pressure, interview practice, to name but a few. Although it will be open to all young people, there will be a focus on supporting youth who are not in education or employment, and a separate focus on youth who have left institutional care and need some support to transition to independent living. We hope that by having a wide range of young people visit, youth will get the opportunity to understand about each other and different life experiences, and learn & grow together. As well as offering knowledgeable youth officers as a resource for young people, the CYC will also provide subsided tea and coffee, as well as computers offering free WiFi, to give youth the opportunity to look for jobs and write their CVs. In addition, we are delighted to be able to offer a free computer skills training facility, which is being funded by our friend Rochelle Forrester, from New Zealand. This will be a space where people with interest in learning what can be done on a computer (for example app/game design, web design, photo/video editing, coding, database management, blockchain) can use our facilities to engage with the large amount of learning resources available online and teach themselves how to do whatever it is they are interested in. This will be supported by a staff member and we hope to establish relationships with employers in this sector. We believe there is a lot of scope and opportunity for the technology sector to boom in Nepal and provide a lot of jobs, so we feel now is a good time to start providing these skills. The CYC will have regular workshops, the topics of which will be decided by youths attending, so that we can best meet their needs. To complement the computer skills training, there will also be a space for other vocational training, for example sewing. We will also run community/education based activities, which will be led by the youth, every 2 months, to try and promote a sense of community and service in the young people. In cases where it is appropriate, emergency financial support will be available to support young people in very challenging situations (e.g. accessing medical care). Behind the scenes, the staff of the CYC will work hard to build networks that will present opportunities to the young people accessing CYC, for example internships, scholarships and employment opportunities. Although this is a large project, we are fortunate that a lot of the knowledge required to implement a project of this scope is already within the team, and we are confident of being able to support. 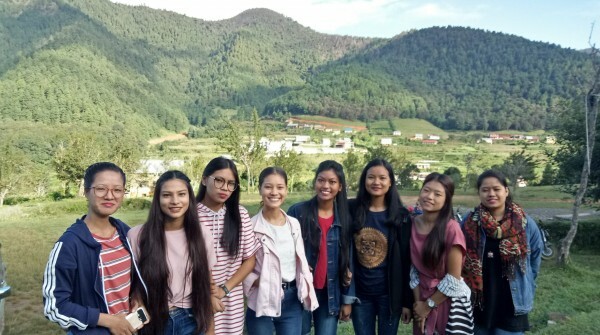 The team at Umbrella are so pleased to have the opportunity to share our experience with a wider range of young people in the Kathmandu area, and we are really thankful to ONGD-FNEL for their support of this project.